Ponza island just stole our hearts. It was hard for us to pull away from the daily boat rides and pasta on the beach. The island was so special, I am taking a little time to get my thoughts together on my Ponza blog entry. We were a little off on the timing for the two trains heading south to Sorrento. We had to end up staying the night in the cute town of Formia. The town happened to be having a parade when we got off the Ferry. It was a nice way to end the long day. Since our original plan to be in Sorrento for dinner fell through, we just had to adjust to plan B. When you are hopping around so much, it happens a lot. Pompeii, Sorrento, Capri, Positano, and Amalfi coast on the schedule for the next few days. 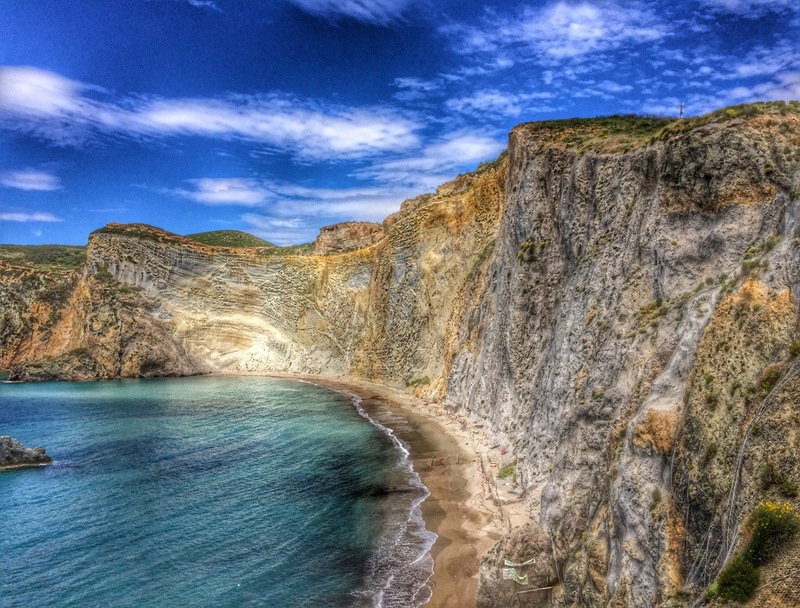 Here is a little sneak peak at Ponza!! Hi! My sister and I are heading to Ponza in a couple of days! Any tips or must see’s?? I appreciate anything you have! 🙂 How was the weather? Ps that picture is stunning, getting me very excited! Hello there!! Ponza was amazing! Great weather, around 80. It is still a little quiet there since it is not yet high season. But that doesn’t take away from the beauty of everything. Do the day boat trip to Polmerolla. All of the companies works together, so you can’t go wrong with which one you choose. Where are you staying? There is a cute hotel Santa domitilla. You can grab a bite at the restaurant, or sneak into the pool- like we did! It’s amazing. The pool is made out of grottos. You will see lots of grottos on Ponza. The food is great. Check out il tramonto- which means sunset in Italian. It’s the fav restaurant of everyone we met on the island. You will have a blast. It is one of my favorite cities. We ended up knowing all the locals by the time we left. Let me know if you need anyother help! ← No plan is my good plan! !